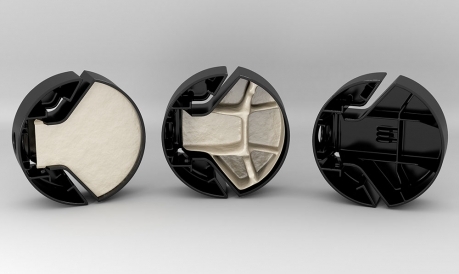 The search for new innovations plays a central role for companies wanting to stay at the forefront of packaging design. 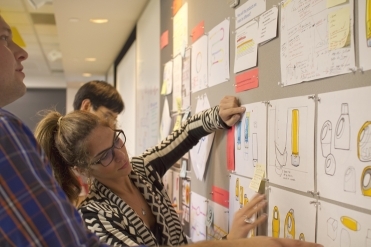 We work with companies across the world to help achieve their product development objectives through a unique blend of design creativity and in depth engineering expertise. By utilizing Altair's own design optimization technologies, we can help you to find the ideal trade off between packaging performance and material thickness. Our team routinely work with companies across the world to rapidly explore material efficient packaging shapes and forms and reduce costs while taking manufacturing constraints and loading conditions into account. We have a long and successful track record of working alongside packaging design teams and empowering them to utilize the potential of simulation technologies. Custom interfaces for leading computer aided engineering technologies allow your CAD teams to quickly gain design insight from simulation results. We help out clients to rapidly explore a huge variety of design variations, quickly identifying the concepts which have real market potential. We believe the fastest way to develop new product ideas into robust designs is with tightly integrated industrial design and engineering teams. 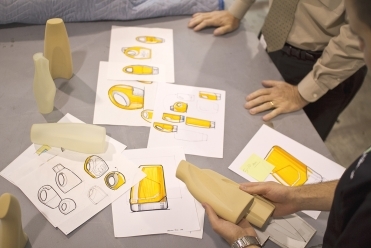 Our global team of over 800 designers and engineers utilizes simulation technology and automation at every stage of the development process to rapidly explore design variations. From first sketches to early CAD or ”breadboard” prototypes, our approach is to test early - both virtually and physically - to learn quickly, and to reduce investment in dead-end ideas. This helps you fail fast, but succeed quicker. With consumers buying more and more products online, the need to design packages that can withstand the riggers of e-commerce distribution has intensified. Our team has led the way in designing for distribution uncertainty, building on primary to tertiary packaging capability and incorporating design for robustness studies during the development process. This includes multi-product type packages and the assessment of interaction as well as the global exploration of packaging failure risk. 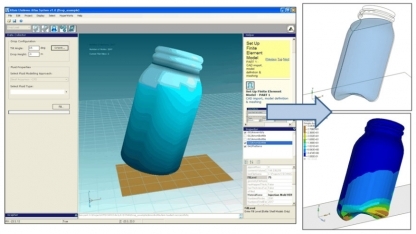 We work with our clients to conduct highly accurate predictive simulation studies on bottles, caps, assemblies and more to discover and improve upon package performance. This includes wall thickness prediction (EBM, ISBM), topload, squeeze, drop and torsion simulation studies. And we don't stop with the primary package. Our team use simulation techniques to investigate the performance of paperboard, layer cards, pallet wraps and more to investigate vibration, drop & impact, compression and shock with support for thermal and climatic conditions and their effect on package performance. The results of these studies directly affect the development process, leading to packs that better protect the product. Optimization, the process of using intelligent technologies to inform early structural designs decisions, can be used as a visual language for industrial design and engineering to investigate concepts together. It reduces wasteful iterations, while enhancing human creativity by proposing innovative forms that can be evolved into a finished product. Our approach to packaging design includes an aggressive application of simulation technologies upfront in the development process. This 'Simulation Driven Innovation' philosophy allows you to find the optimal balance between material use, performance and cost for your products. The result is packaging solutions that are compact, material efficient and environmentally friendly; all while offering outstanding product protection and maintaining a unique brand personality. For white goods manufacturer Mabe, the quality of the design and engineering of their home appliances is paramount and must arrive to the customer in perfect condition. Appliance packaging must be equally well designed to protect from drops, impacts and other events, but over-protecting the goods can result in significantly higher costs. By working with Altair, Mabe achieved significant improvements in packaging performance. RFID tags provide more granular control of inventory than a bar code. Kimberly Clarke turned to Altair’s FEKO tool to develop a methodology for deploying RFID systems and conducting experiments in virtual environments to demonstrate feasibility. Beyond validation criteria, we will also help you measure the product experience. With over 50 offices in 22 countries worldwide our reach is truly global and cultural understanding acute. 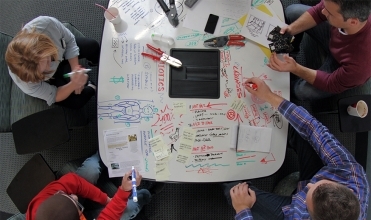 In conjunction with your design team, we organize “ThinkLabs Events” – collaborative sessions geared toward engraining smart ID into the development project through research, strategic product planning, ideation development, and concept prioritization phases. For the Lynx (Axe) brand, Unilever needed to adopt a simulation and analysis approach when designing a new deodorant packaging concept and required a development partner to assist with the design and testing of the new can.